How Far is BRR Elegance? 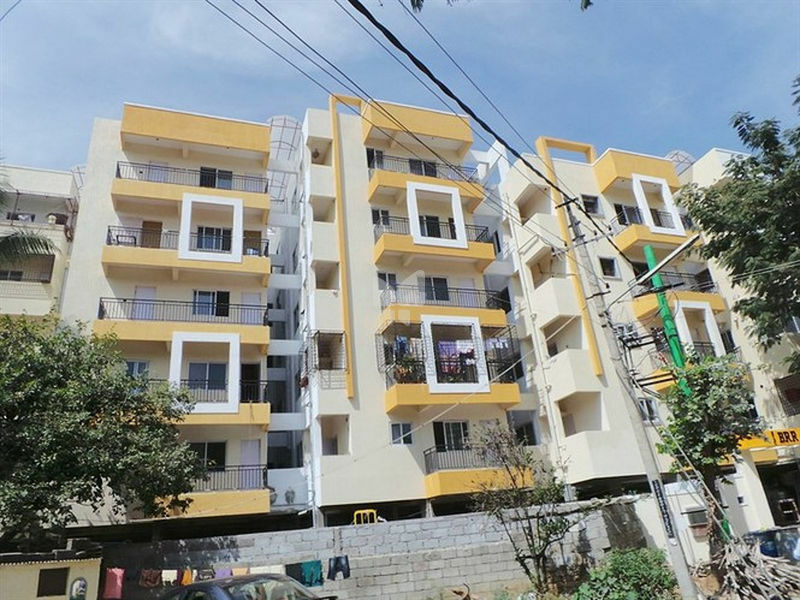 BRR Builders And Developers has launched its premium housing project, Elegance, in Mahadevapura, Bangalore. The project offers 2, 3 BHK Apartment from 1181 sqft to 1625 sqft in Outer Ring Road. Among the many luxurious amenities that the project hosts are 24 X 7 Security, Power Backup, Children's play area, Rain Water Harvesting, Lift Available etc. BRR Builders And Developers Elegance is Completed project and possession in Dec 13. Walls :6' Cement solid blocks for exterior walls & 4" Cement solid blocks for internal walls. doors Sallwood frame with flush shutters. mosquito mesh & 2 track for kitchen & bathroom with safety grills. Flooring : Vitrified tiles for entire flooring Granite flooring for common areas. Electrical Work :Concealed copper wiring with Anchor switches & sockets. Toilets :Anti skid Ceramic tiled flooring & glazed tile dado upto 7' height. Sanitary :Jaguar CP fittings & Flindware Equivalent sanitary. Finishing :Tractor plastic Emulsion paint for internal walls and Exterior with Apex paint. Provision for Cauvery water in kitchen. Car Parking :Exclusive Covered Car Parking at basement. TV & Telephone :Individual TV. & Telephone Point in Living& Master Bedroom. Lift Facility :2 Lifts of 6 passenger capacity each. Power Backup :Generator for common area. Lift & 0.5 KVA for each flat. Intercom :Provided for each flats.